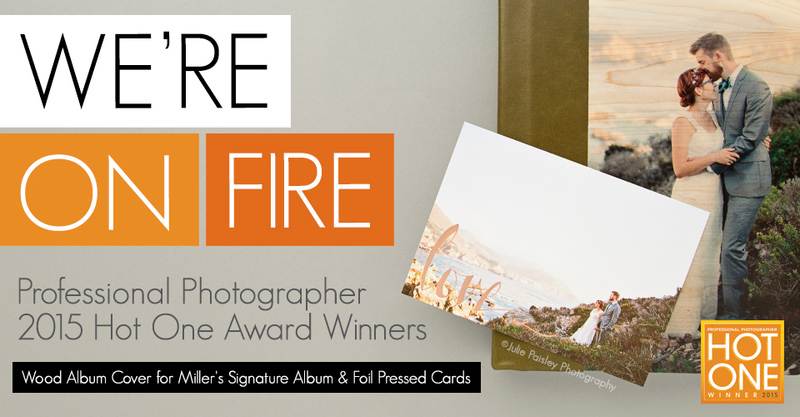 We are pleased to announce that Professional Photographer magazine has presented Miller’s with the top Album (Wood Album Covers for Miller’s Signature Album) and Marketing Product (Foil Pressed Cards) for the 2015 Hot One awards. We strive to develop new and exciting products that enhance your imagery. Thanks to your continuous feedback and trust, we’ve been able to grow our offering while maintaining our signature turnaround and quality. Take a moment and check out our big winners from 2015!